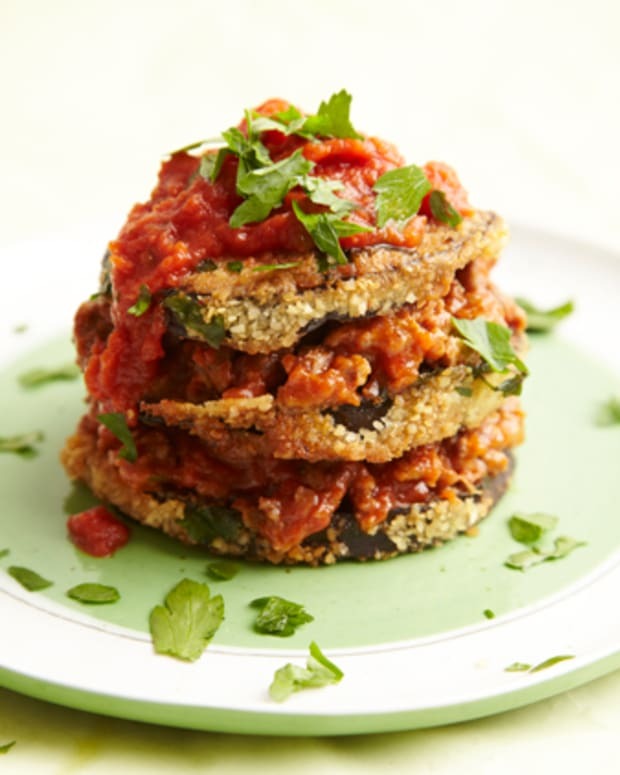 These eggplant stacks are easy to make, looks stunning and are a healthier version of eggplant Parmesan. Preheat oven to 375°F. Pour oil onto a baking sheet. 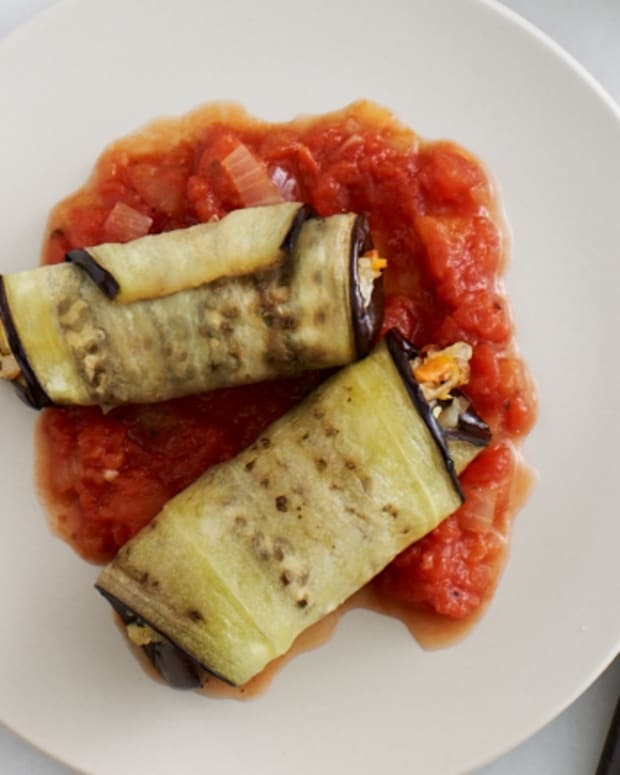 Slice eggplant into 16 (1-inch thick) rounds. Place rounds on prepared baking sheet, turning so both sides are coated in oil and arrange in a single layer. Roast at 375°F for 25 minutes until tender and golden brown. 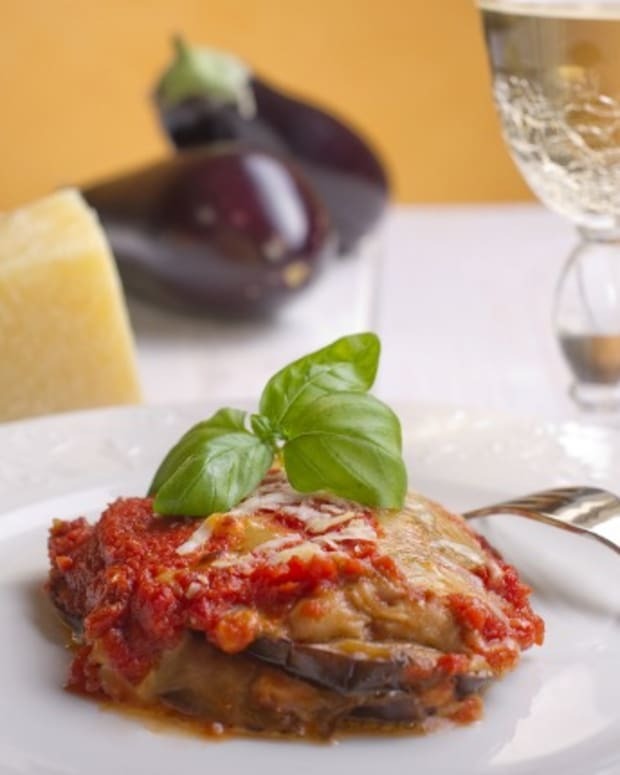 While eggplant is still warm, place a spoonful of marinara sauce, then half a slice of cheese on top of each eggplant round. 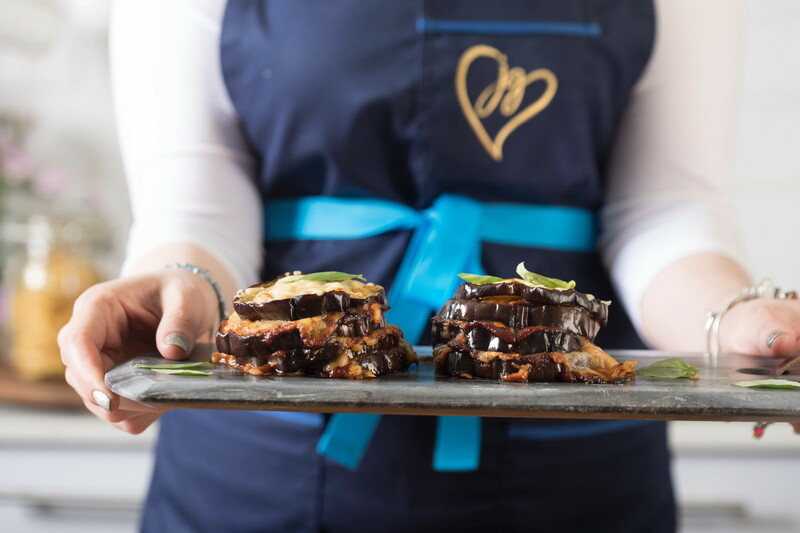 With a spatula, carefully stack 4 rounds on top of each other, so that you have 4 eggplant towers on the pan. 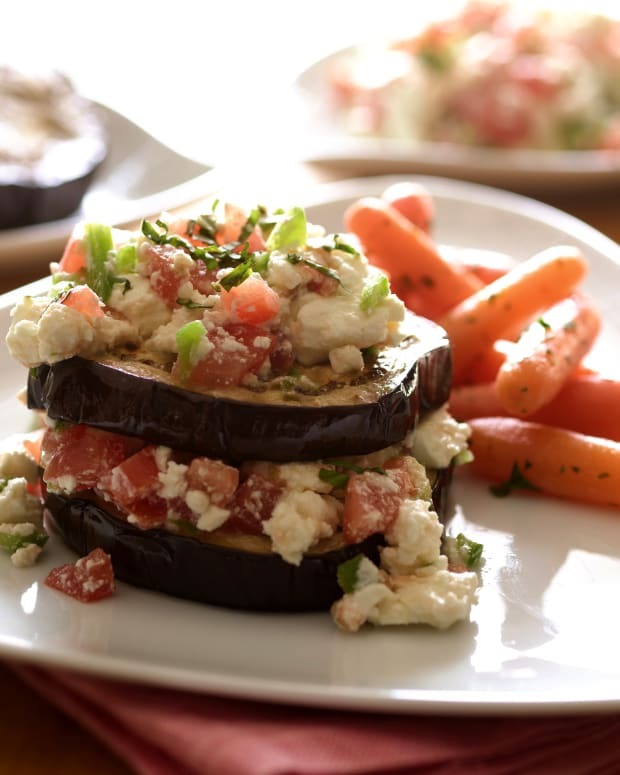 Top each eggplant tower with Parmesan cheese. 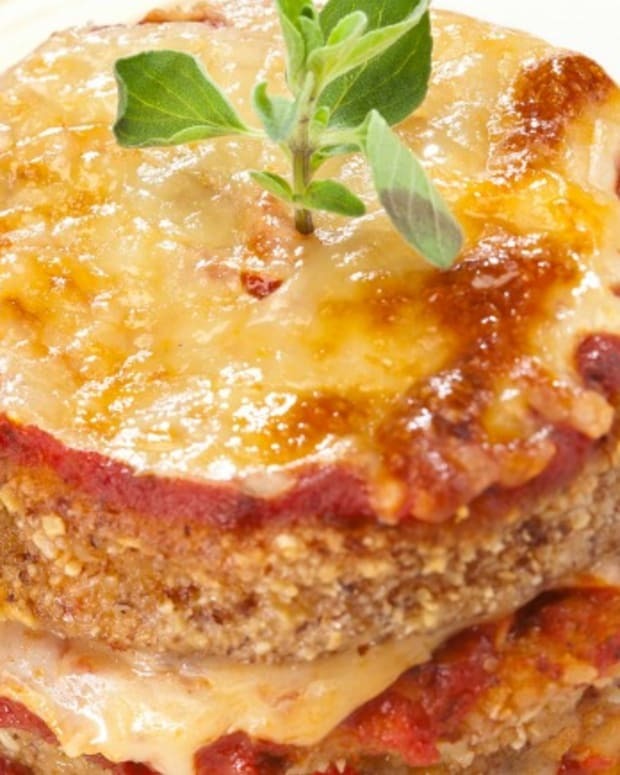 Bake at 375°F for 15 minutes, until cheese is melted and bubbly. 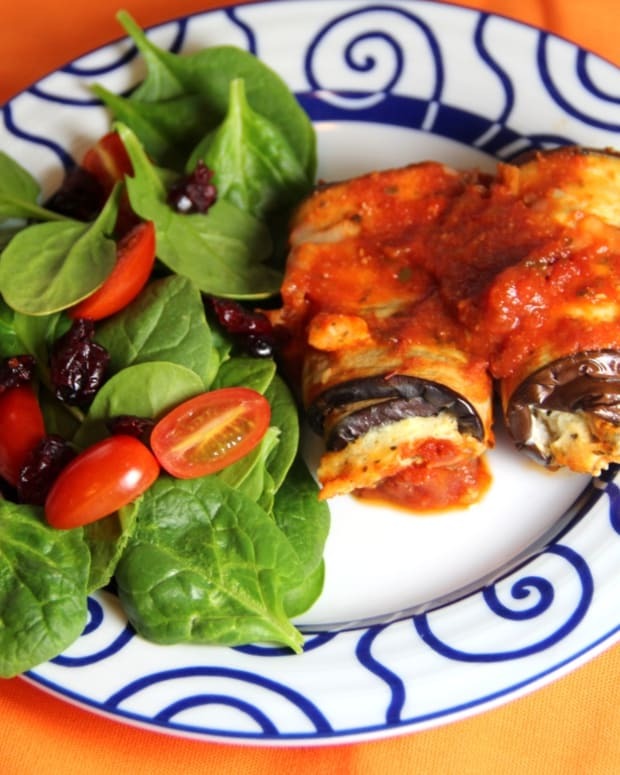 Serve warm topped with fresh basil.